Put the popcorn and peanuts in a large mixing bowl. Combine the honey, sugar and peanut butter in a sauce pan. Stir and heat over medium-high heat until it comes to a boil and the sugar is dissolved. Add the vanilla and stir to combine. 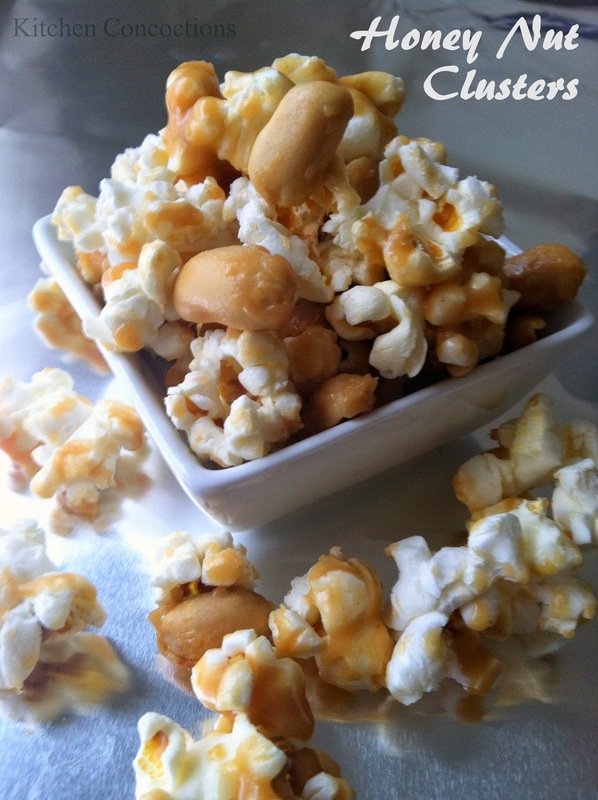 Pour the peanut butter mixture over the popcorn and peanuts and stir to coat. Spread the mixture on wax paper (or tin foil) to cool. Store in an air tight container… if you have any left to store!